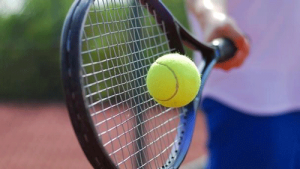 At one point or another, your tennis team or club will probably need to raise funds to maintain courts, new nets, bleachers, lights, trainers, and new equipment. Tennis team fundraisers that are easy and effective can be tricky to find, but look no further than Giving Bean’s coffee fundraiser. With no startup costs, step by step instructions, online support, and free shipping all come standard at Giving Bean. Our products are easy to sell since people use coffee and tea everyday. Freshly roasted coffee, unique artisan teas, and all natural gourmet cocoas are hard to resist. With our traditional paper fundraiser you will make 40% as well as 25% from online orders. Giving Bean’s online fundraising component it a great way to reach friends and family that don’t live nearby. Your online fundraiser will also remain open after your paper fundraiser is finished. We also have customizable labels that will look great with your team’s logo on them.